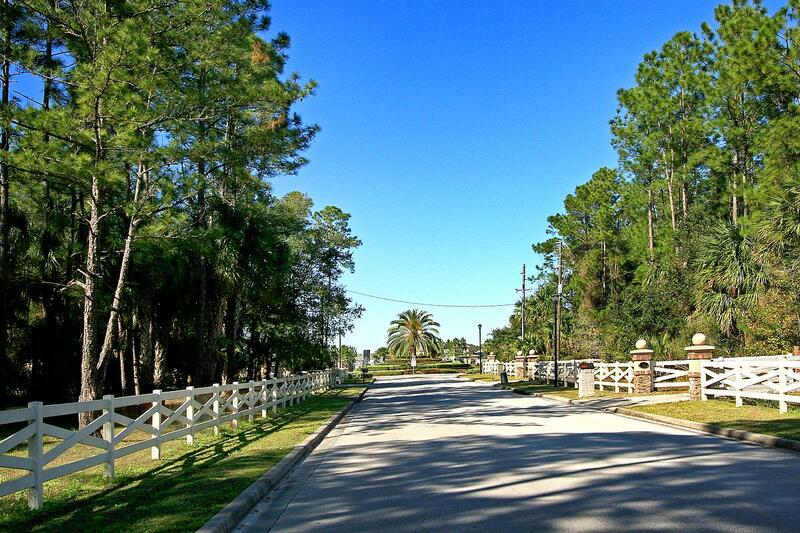 If you have been looking to move into Astor Farms, a highly desirable gated neighborhood in West Sanford, here’s your chance: this new listing is not a short sale or bank owned home so is available immediately. 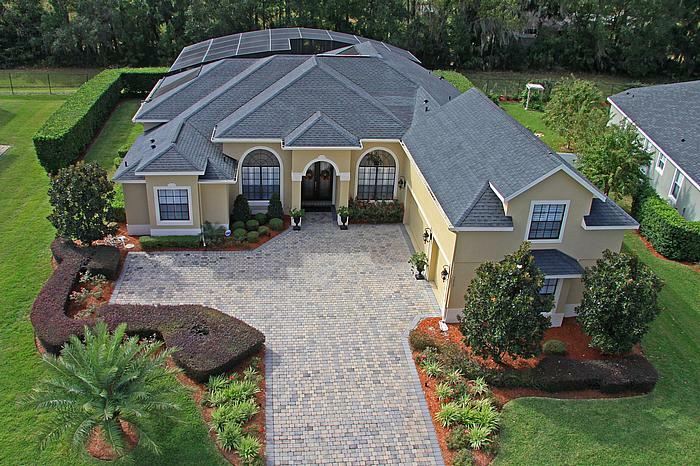 This stunning pool home sits on an oversized magnificent conservation lot. The outstanding curb appeal with 3 car garage and long paver driveway and an elegantly upgraded interior with high ceilings, plantation shutters throughout and beautiful ceramic tile floors is sure to impress everyone. 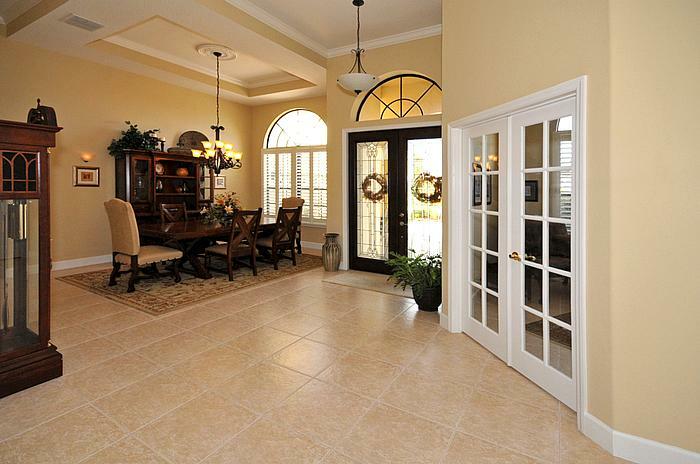 The gorgeous new double entry front door leads to the spacious formal living and dining room. This home features recent updates worth more than $30,000 – and it shows! 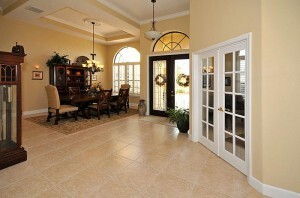 Expect model home quality with fresh paint inside and outside as well as brand new carpets. Further upgrades include stainless steel appliances, low maintenance corian countertops, 42″ wood cabinets and a beautiful backsplash in the kitchen. 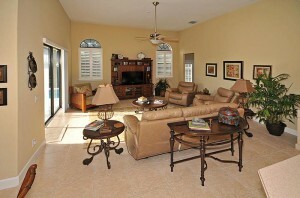 The large kitchen with lots of (slide out) cabinet space overlooks the spacious family room that opens to the pool area. The pool and spa invite you to spend your days outside almost year round. The large screened patio, which can also be accessed through the French doors from the formal living room or the Master suite, is summer kitchen ready and still offers plenty of space for a covered outdoor living area and open sun bathing spots throughout. You will cherish this private backyard oasis with screened patio not only after a long day at work but also on a relaxing weekend. The covered patio is ideal for entertaining on warm Florida nights. The master suite with spacious his and her California walk in closets boasts cathedral ceilings. The luxurious master bath has two separate vanities, a garden tub, and a glass enclosed completely tiled walk-in shower. What makes the floor plan of this home so special are the many different living areas, serviced by 4 different AC zones, each with its own thermostat. This will not only make things more convenient but also save you lots of energy costs. Besides the Master, study, formal dining and living and family rooms, you will find a bedroom with adjacent pool bath at one end of the home. This room would make a great mother in law suite or guest room. Then there are 2 well-sized bedrooms across from the master suite and study with French doors. A highlight of the home is also the huge versatile upstairs bonus room with an amazing view. Make it your media room, office, or game/play room. This home offers so much convenience, yet so much elegance! Living in Astor Farms will put you within close proximity of all the highlights the Sanford/Lake Mary area has to offer: the Seminole Town Center mall with outstanding shopping and dining is just around the corner and you are just a short drive away from popular entertainment and dining at Colonial Town Park. The Seminole Wekiva bike trail is also in reach within minutes and you can easily visit the Central Florida Zoo, beautiful Sanford Riverwalk and splash pad by Lake Monroe. Historic downtown Sanford with its quaint galleries and antique stores as well as dining and entertainment will surely also become one of your favorite spots. For more information about this dream home or to schedule a private showing please contact Jose Rodriguez with Charles Rutenberg Realty today at 407-340-6458!